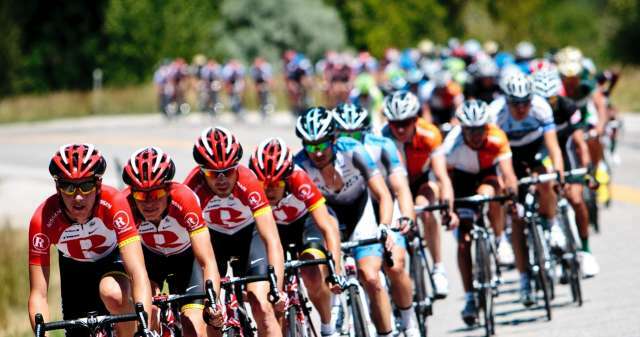 As an avid but aging cyclist, I’m excited for the ninth edition of the Tour of Utah next week, another chance to watch some of the world’s top professional cyclists race on the very same roads I regularly ride. Granted, the amount of time it takes me to ascend our local climbs is a lot longer than the Tour riders will take to get up the same roads, but it’s cool nonetheless. What’s also cool is the fact that the Tour of Utah, like most pro cycling events, road and mountain alike, is that it’s not just for die-hard fans. Each day’s stage offers something new, and each start and finish area offers a carnival-like atmosphere, where fans and friends of fans can experience what cycling’s all about. Cyclists are approachable and friendly, typically willing to talk with fans, give autographs and take pictures with them. That simply doesn’t happen when you go to Yankee Stadium or try to chat up Tony Romo before a Cowboys’ game. And this year’s Tour of Utah is just that: a race showcasing much of our beautiful state over its six days. Starting in Southern Utah, the 2013 Tour of Utah features stages running through stunning red rock country and some of Utah’s iconic national parks, then through the central part of the state before finishing with some truly punishing days in Northern Utah, including two stages in Salt Lake. And trust me when I say the Tour’s tagline, “America’s Toughest Stage Race,” is aptly named and well deserved. Over the course of the race, these guys will ride 586 miles and climb more than 43,000 feet. The “Queen Stage,” or most difficult day, takes the riders from Snowbasin to Snowbird Ski & Summer Resort via Park City – 113 miles and more than 10,600 feet of climbing, the majority of which is in the final 35 miles. Ouch! So dust off your cowbells and make sure to catch at least one of the stages of this year’s Tour of Utah – it promises to be an exciting week!